You are in one of the dullest looking landscape filled with blue sky and white floor, nothing awe-inspiring for as long as your eyes can see. But for a few people walking, clicking random pictures and just staring around – this place is nothing but a flatbed of salt. 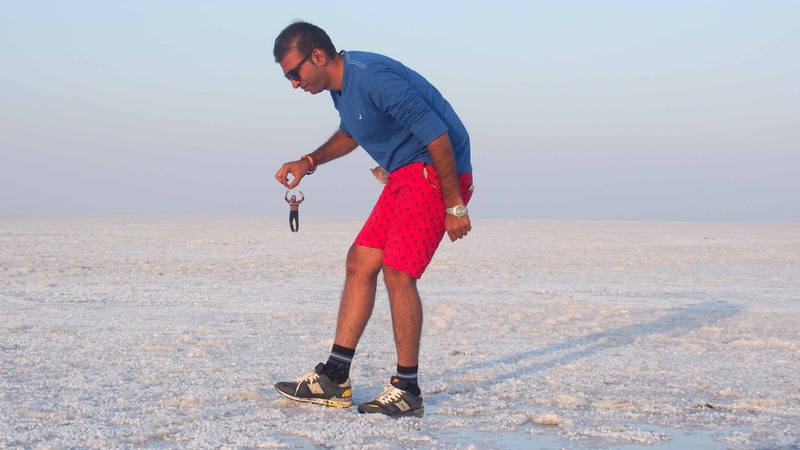 Who in their right minds would go to the Rann of Kutch? Not me for sure. Now, wait a minute. Did you actually think that this could be possible, maybe, sort of, in some perspective be true? HAHA! Welcome to one of the most beautiful destinations on planet Earth. 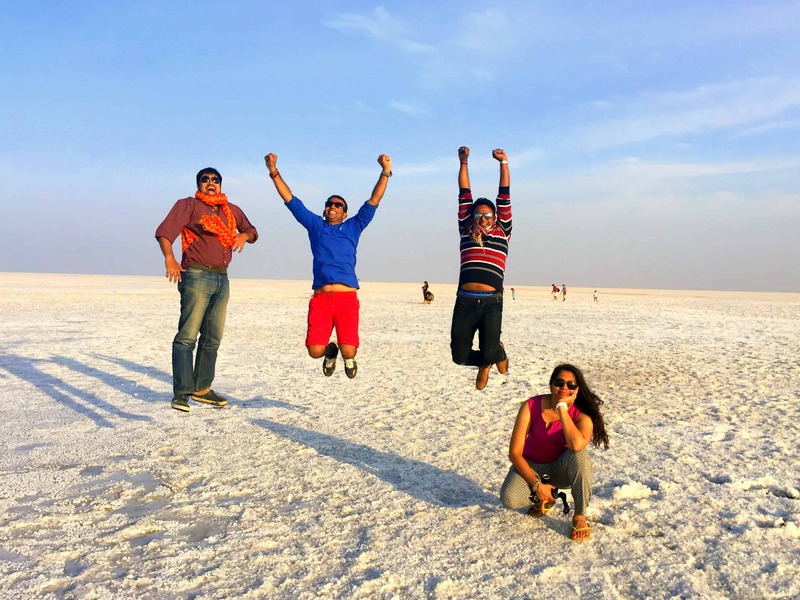 The RANN OF KUTCH! Yes, I went with friends, but nothing stopped me from feeling adventurously alone, this white beauty which wore a beautiful and clear blue sky sinking in to give a nice contrast and the sun which like the icing on a cake made the entire place shine. Yeah, made me feel like I was the “Queen of the Desert ;)”. We had two days to explore Bhuj after covering Ahmedabad and Gir Forest. We drove all the way from Sasan Gir to Bhuj in our jeep. We started early morning and reached Bhuj around 1600 hrs. 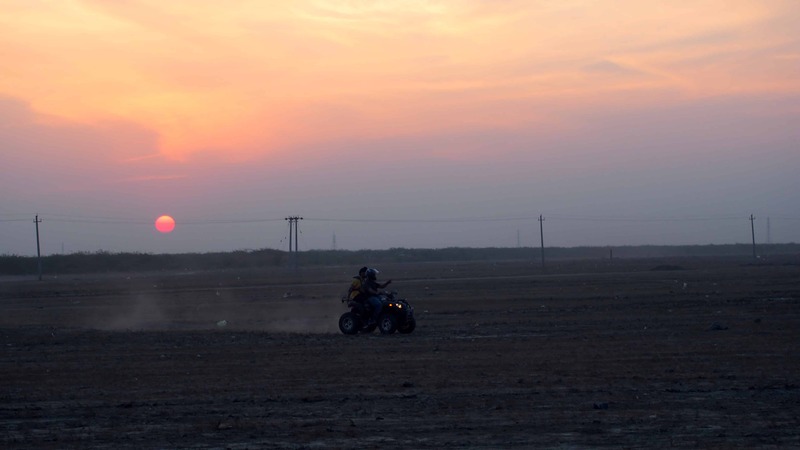 You need to buy a pass at the check-post to get to Rann of Kutch. This is a high surveillance area as it is close to the Indo-Pak border. 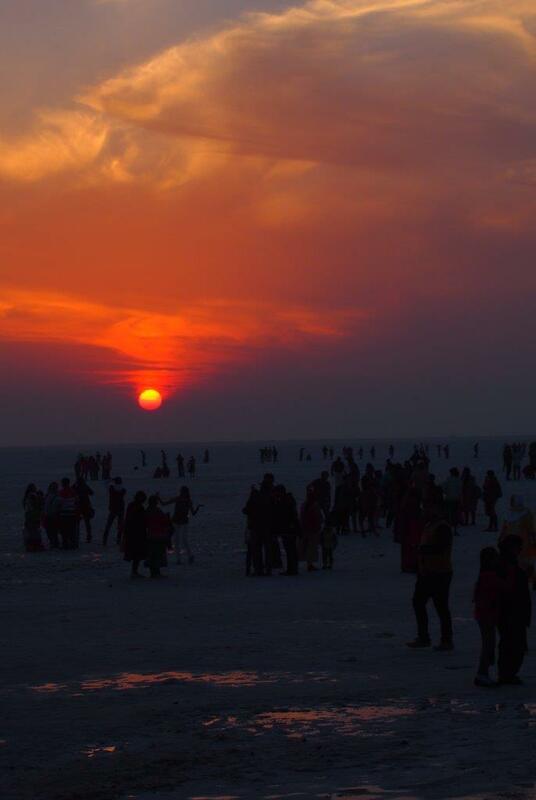 It was the Kutch festival season when we went there. 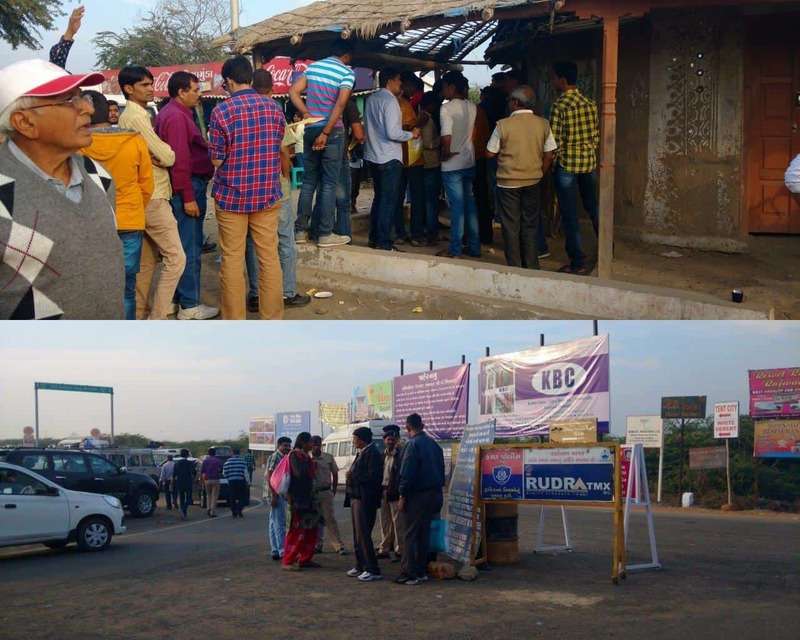 The place was overflowing with people and because of the crowd and traffic that comes along with it, we lost quite a bit of time in reaching Kutch. That evening, we had a good view of the sunset and walked all the way till the end of the concrete walkway at the White Rann though we really couldn’t see much in the moonlight. Next morning, we woke up early to go to Kala Dungar. Just before you reach this hill, there is a place with some kind of magnetic force that pulls the car back uphill. It’s quite a sight to watch, and if you are a science enthusiast, then even more! 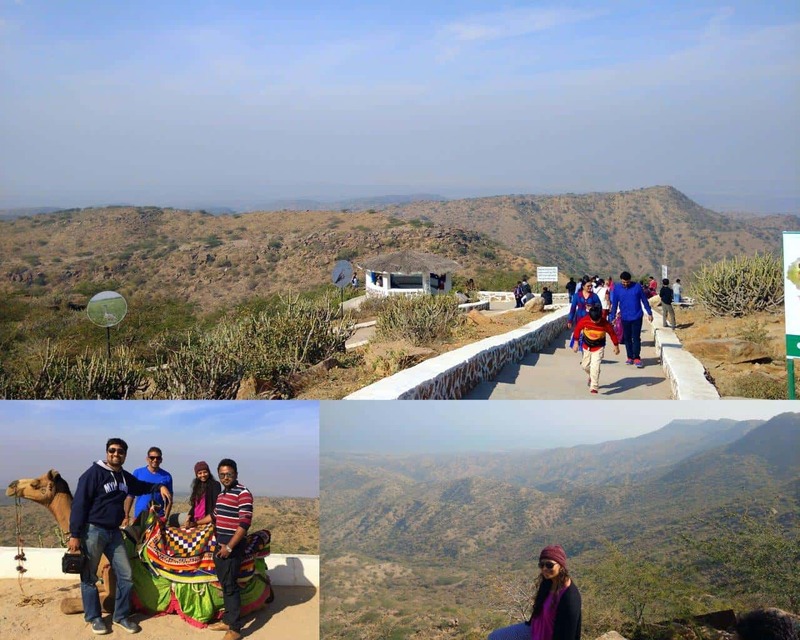 Kala Dungar, also known as Black Hill, is a must visit place for the magnificent view that it offers. There is a small temple and after a short climb, let yourself be mesmerized by the awesome views that India enchants you with. Prepare to spend some time here and enjoy clicking photos with the camels. Also Read: Is this the beginning of Airline Wars in India Part 2? From here, we headed to the Border Security Force Area to visit the India Bridge and the memorial that is built in memory of our brave jawans and a sense of pride sets in when you talk to the Jawans here and see how these guys live their life. Note: Mobile phones and other electronic items are not allowed in BSF area for obvious reasons. 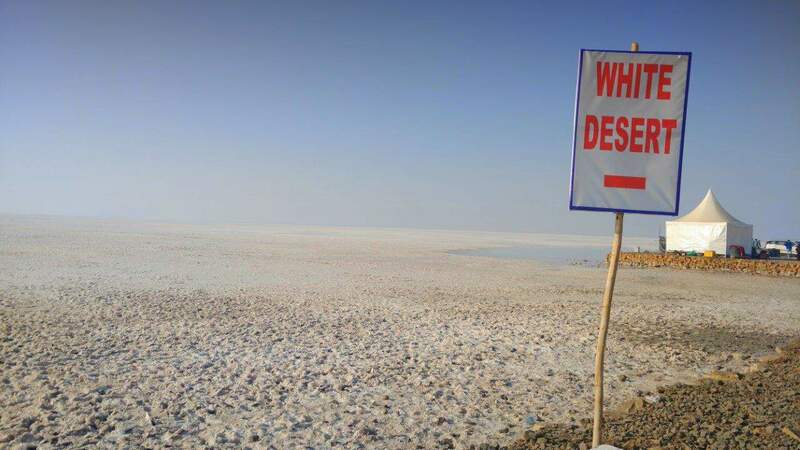 It was the time that we were waiting for – waiting to see how the Rann looks during the day. There is an alternate route to get to the White Rann from BSF controlled area which was under construction when we took it. Take deep breaths once you set foot in this salt, go crazy playing like a kid, click so many photos that every time you see, there is an instant smile on your face and don’t forget to wear bright clothes to get the best of memories. Yes, it will be sunny, but throw away your sunglasses to make the most of this experience. The salt melts as the day goes by so be careful when you walk, or like us, jump and play getting our shoes and sandals dirty. Sitting is at your discretion. This is the beauty that travel lets one discover, a feeling that you belong to this world, no matter how tiny you are. Travel and feel the bliss. It’s on my list of to visit, let’s see when it happens.. Super cool post di..
Hi Shriram. I am not sure if I can for sure say its safe or not safe in Kutch. It will surely be crowded in the month of December as the festival starts then. We stayed in Bhuj instead of staying in the tents. 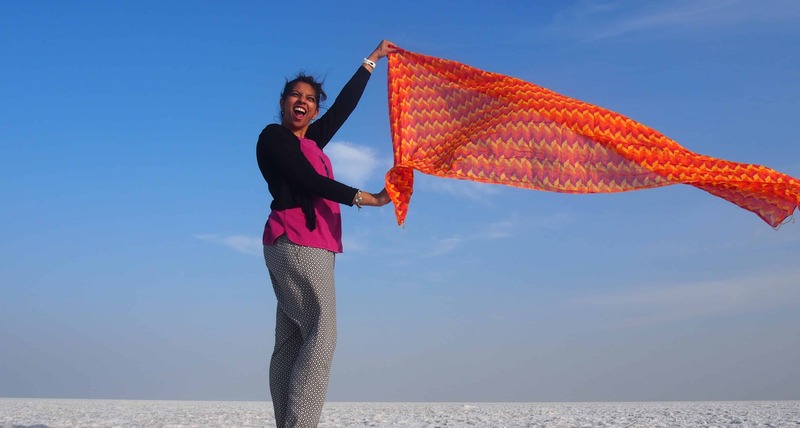 There will be common restrooms and lots of food stalls to eat in Kutch. Hope this helps.